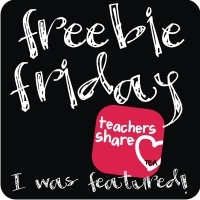 The 3am Teacher: Friday Five: Freebie, Find, Frazzle, Funny & Feature!! Friday Five: Freebie, Find, Frazzle, Funny & Feature!! This is a MUST watch that everyone can appreciate! I LOVE realistic art and this video is incredible. I wish there was a disclaimer at the bottom that stated the actual time it took to finish this piece... I know for a fact this process took WAY longer than a couple of minutes..hahaha... I can't wait to get my Adobe Presenter, so I can begin making videos to share with all of you!! Frazzle: excitement and stress!! I have so many things to do and NEVER enough time it seems. I will be finishing my website soon and fixing the kinks in my blog, so bear with me if you experience some display issues with my blog. I promise, it will be fabulous once I am finished!! 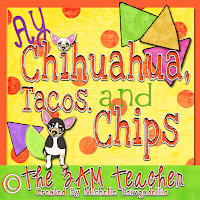 I am working on quite a few projects, but I will have some new digital graphic sets up this week. 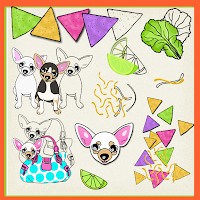 One of which is some cute new backgrounds, a polk-dot and stripes theme, kites and kids, and a few more. These all might hit you at once, so I will try to spread them out a bit!! I have entered to be a part of an art contest this next month as well as the Red Bull Collective Art Project!! I know what is wrong with me that I feel the need to add more when I don't even have time for the things on my current to-do list?? 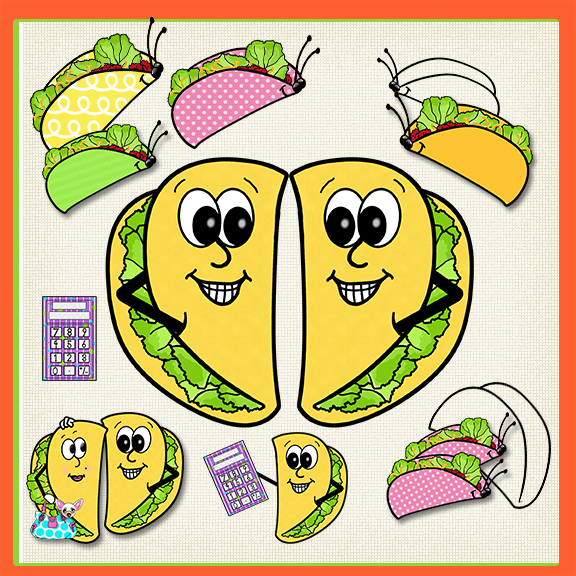 Well, the answer to my own question is simple- I really want to venture out of just creating digital clip art. Not that I don't love it, but I want to make my little mark on the world I guess..hahaha. I am venturing out of the box and entering some things that will help me to refine and improve my artistic abilities. The Red Bull Collective Art Project is confusing me just a bit as there is not much about the details and what is expected for this project. It is a way to express ones creativity and not a contest; however, I want to have some sort of plan ahead of time. I would hate to not finish in time...yikes!! These little projects are just for fun and I hope to connect with some new artists along the way!! I am working on two pieces that I have already named even though they are still just two ideas in my head...two very vivid ideas in my head at this moment. I will not give you any more that just the titles, but I would love for you to guess what I might be drawing for these two pieces..haha I am hoping to make a little name for myself as an artist - but only time will tell. My pricing and sample sheet for blog design elements is almost finished and I should have it up and taking orders by the end of next week!! I need a "mini me" and I am not referring to a cute avatar drawing either..hahaha. Did this get your attention?? 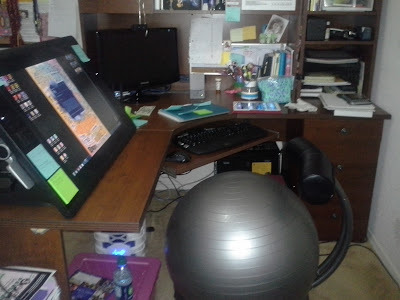 What is this might you ask... it is the NEWEST edition to my office furniture!! This has become my office chair! 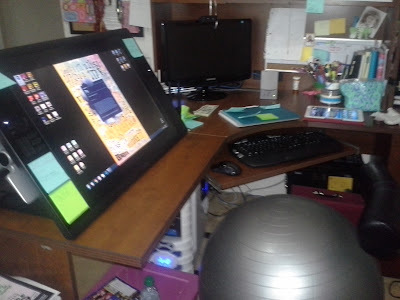 I ordered this several weeks ago (About the same time I got my Cintiq) and I have held out o posting about it because I wasn't sure I liked it.. Now I am VERY sure that I like it!! hahaha This is my FitBall Office chair!! I have been experiencing extreme back pain from the hours I spend at my computer -I also have developed a squishy tooshie and added poundage, which I have been freaking out about lately. I ordered the FitBall brand because it is adjustable and had the highest reviews. I am very happy with my purchase indeed!! It has helped tremendously with my back problems (as well as my leg cramps - since I can't sit with my feet up in my chair anymore..haha). I also LOVE the fact that I can lean all the way back and stretch when I feel the pressure or bounce when I realize that half of my toosh is hanging of the edge.... I know some of you TpT sellers will be ALL over this one!! hahaha I purchased it from Amazon and the image does not do the chair justice at all. I am glad I read through all of the reviews. I have two features this week!! 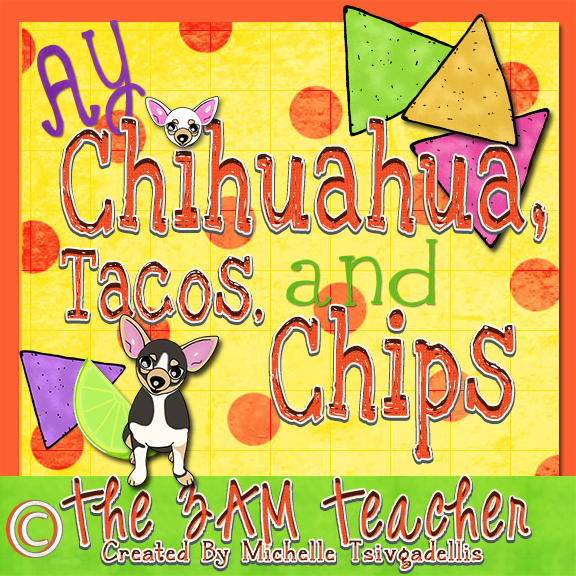 I noticed that there was not much activity on my collaborative Pinterest board, so those of you who are already on there - please don't be shy and feel free to pin anything you create using my graphics!! If you would like to be added to this Pinterest board, please leave your Pinterest link in the comments section below and I will make sure to add you to the board. 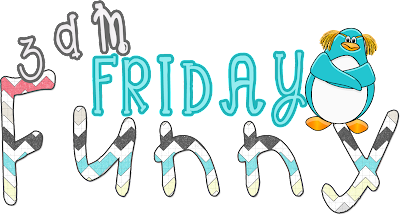 I will feature a product every Friday from the board!!! 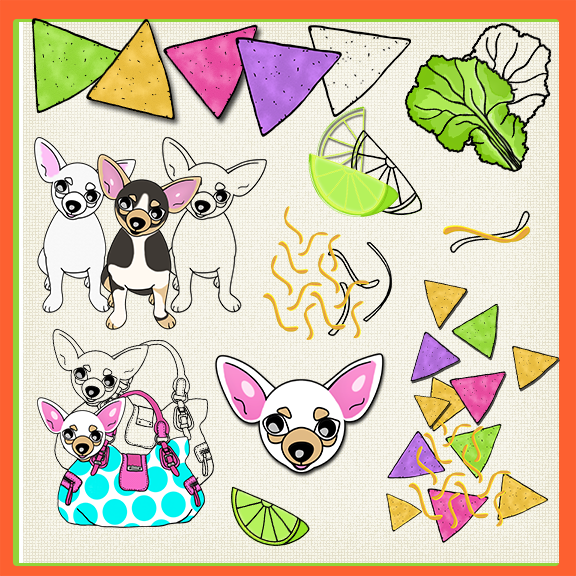 This weeks feature used graphics from my "Ay Chihuahua Tacos and Chips" Clip art set!! This was a random bit of fun, but Pam DAlessandro put these cities to good use in a fun Math Resource (aligned with CC) named, Crunchin' Numbers!! Clever!! 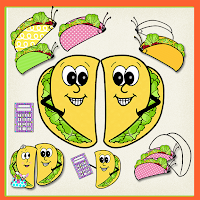 haha This looks like such a cute resource for firsties and priced at ONLY $3 bucks! You can't go wrong there!! The image is a bit fuzzy because I snagged it from Pinterest, but click the image to see the real deal!! Thank you Pam for all of your support and for using my graphics in great resources!!! She looks like a newbie to the education blogging world, so please give her a warm welcome!! This Saturday is my B-day and I am turning 34!!! Holy Cow, did I just say that out loud? 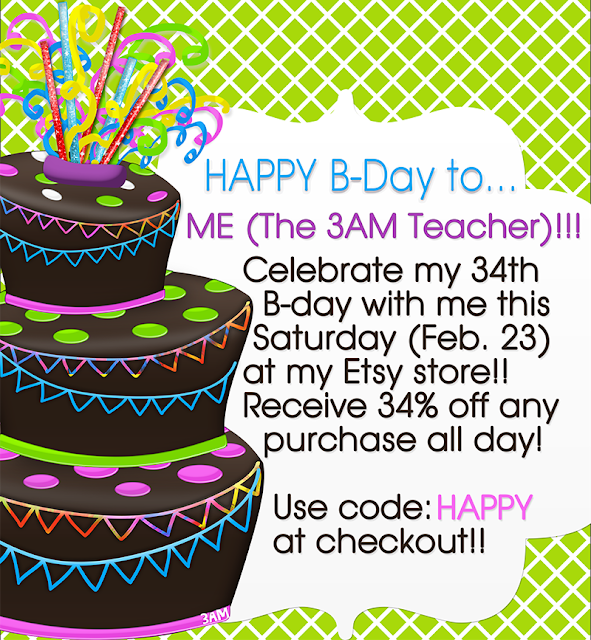 Well, I am offering a 34% discount (now I seem young, don't I..hahaha) in honor of my fun day at my Etsy Shop! Enter the code: HAPPY at checkout and you might be happy I am getting a bit older..hahaha. Please spread the word! Click the image below to visit my Etsy shop!! The discount will be good ALL Day February 23rd!!! I know that every once in a while some of you may have a difficult time trying to figure out where to enter the code on Etsy. I am including a link just in case any of you get stuck at the checkout!! 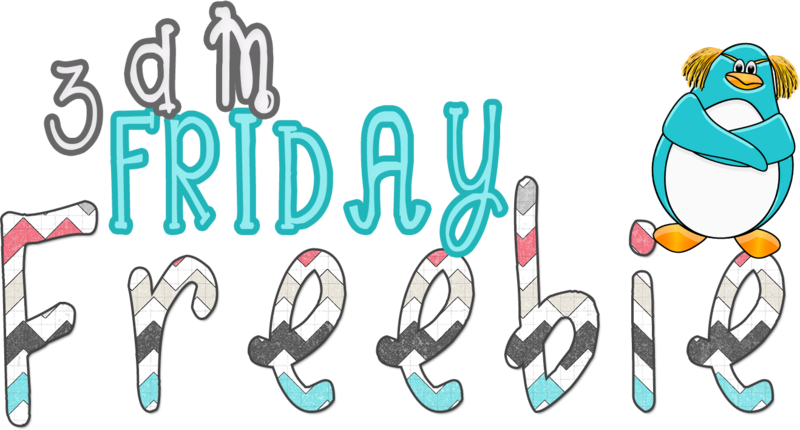 Have a great Friday everyone and come back Saturday for much more from the B-Day girl!! tehehehe.. I only get to say that once a year, so I am going to try to savor the moment here..hahaha Thank you for visiting and please feel free to share, ShArE, and SHARE!!! Thank you for the cutie birds!! 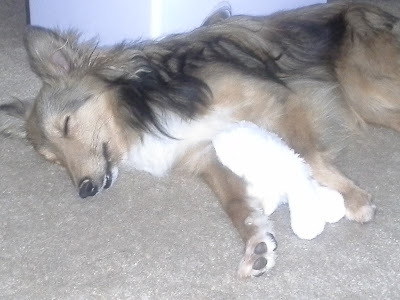 Precious!! You are very welcome and I am glad you like the birds!! Happy Birthday! Loving the spring chicks! Now to get some spring weather! Have a wonderful birthday! Thank you Andrea!! I love Arizona Spring weather!! Thank you so much!! I am going to visit the link ups in a few!!! Thank you so much Faith!! I just added you to the Pinterest board and I am about to activate the code (-; Have a great weekend!! Thank you!! 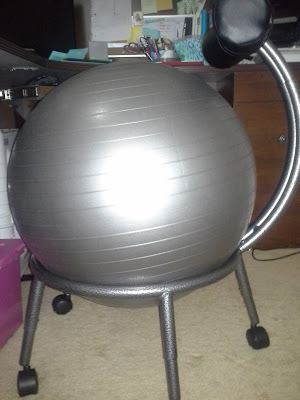 I actually really like the ball chair (as I call it..haha). It is really quite comfortable, but sitting for as many hours as I do... any little bit helps. WHAT A GIFT FOR ME...your blog! I'm your newest follower! Happy bday! I loved reading this post! 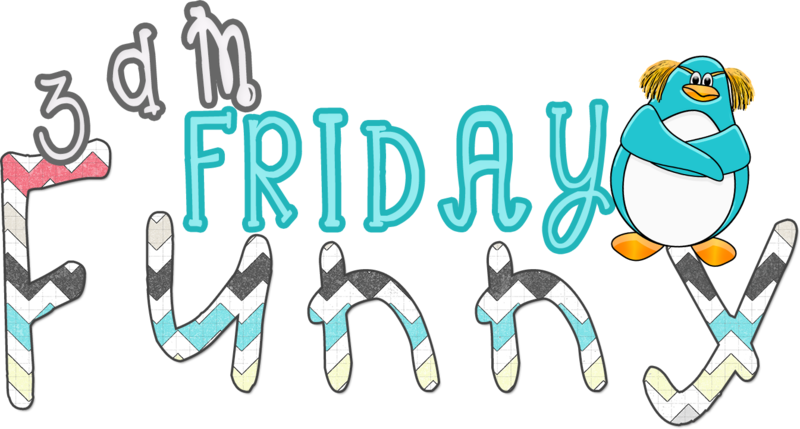 I hope to link up next Friday if you're planning on doing it each week! By the way, what is a Cinitq? Happy Birthday! I love your post! What an interesting chair! I love your artistic quirkiness. At least that is the impression that I got from your post. I am your newest follower.